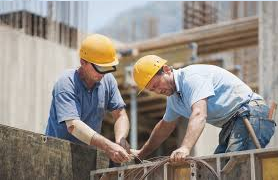 When working on construction projects, it is very important to collaborate in real time with all parties involved and have access to information that pertains to each segment of the project. Making sure data is available and selecting the correct platform and project data structure is also crucial. 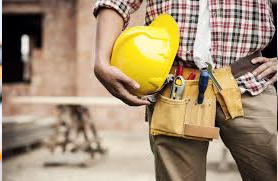 Access to construction items such as architectural drawings, project management schedules, budgets, work schedules and so forth ensures that your various construction projects run smoothly. Being able to oversee and manage multiple projects at one time, that involve different teams with different schedules and different work duties require very efficient collaborative project management software system. It will also allow construction management team members to stay informed of every aspect of your project. A good construction project management software should consist of areas that combine multiple components into one package. It should meet the needs of all team players, no matter if they’re working on the site location or from the construction office. Additionally architectural project management software should be integrated into the overall management of construction projects as well. It should enable architects, engineers, geological surveyors and other affiliated professionals to stay plug into all aspects of the projects as well. Construction collaboration software has become a very useful technology across a variety of mediums on a nationwide basis. It contributes to the construction efforts in multiple ways by streamlining information and making it available in real time for its users to access at any time. The engineering-based information that is integrated with the construction infrastructure also consist of risk reduction components, safety components and it promotes overall construction efficiency on the job site. All members of the supply chain can benefit from this great software program as well -as it relates to making purchases of materials which is very important in the construction industry. The materials aspect of the process alone requires an awful lot of oversight since all material must be order to the correct specifications. 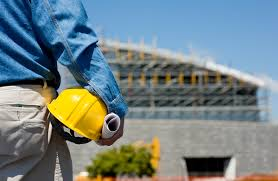 Basically, the web-based construction management program also creates greater organization and streamlines each part of the overall process of the construction system. It’s a must-have for companies that want to remain competitive in today’s market. Keep your entire team on the cutting-edge with the construction project management tools from FASTTAC. Our documentation management software makes accessing, storing and updating your project’s information a breeze, providing the entire team with real-time updates to keep your project moving forward and improve productivity. When it comes to your construction project, time is money. Make sure your team stays on the same page and works to build your bottom line with help from FASTTAC. It is this aforementioned difficulty in directly observing the day-to-day progress of the project that makes project management apps so useful in keeping all contractors in the loop. Construction apps are capable of bridging the remote duties of every component of the project, allowing owners, project managers, onsite contractors and any involved design firms to keep abreast of the progress with just a username, password and mobile device. The app increases efficiency, productivity, customer satisfaction and profits. This is very much an addendum to the benefits offered by construction apps – even if it wasn’t specifically intended for that purpose by creators. “Blueprint” software, or as it is now know as digital information software, is a time-management solution that uses access to current information to accelerate project completion, without compromising the results. It’s a collaboration tool that makes sure the development team and the business teams are on the same page; since, ultimately, they both have the same goal. Software is pervasive throughout almost every aspect of the business as a whole, which means that it also provides a centralized location for a project manager to view the pertinent metrics at a glance. Centralization has so many benefits; it’s not hard to see why companies are clamoring to get on the cloud for as many applications as feasible. Large companies are especially in jeopardy of running over budget and maintaining the original time projections for team-oriented projects, because of the many parts that must come together to work in harmony. Project managers can appreciate the wholesale solutions that cloud-based construction apps bring; they allow you to keep track of and mark off progress and action items, participate in drawing markup software with the technicians, and give owners immediate access to construction documentation to gauge just how far their budget is being stretched. This is a huge change from how construction management used to work, where the bulk of the system was on-site, and mobile devices were nonexistent. It is the ubiquity of tablets and mobile devices that have paved the way to greater (and far more efficient) collaboration. Lastly, you can derive a lot of data from cloud-based solutions, which is immediately shareable with project heads and owners. Metrics such as the amount of time spent per project and the productivity per employee can help reduce costs. They can also help you make judgments such as less overtime and more employees, or vice versa – whichever one makes more financial sense. These benefits just scratch the tip of the iceberg, and the growing number of cloud-based management apps and users is a testament to their efficacy. Selecting the right combination will ensure the success of your project. To help with this selection and keep your team in sync every step of the way on your project with help from FASTTAC. Our revolutionary construction documentation software grants the entire team accelerated access to all the latestdocumentation, markups and workflows to remove communication problems and build worksite productivity. Request a live demo of our construction management software today, and say goodbye to your old drawings and documents with help from FASTTAC. The infusion of technology and business in the modern era has reached new heights and is being utilized in a diverse range of businesses. In the construction industry in particular, where collaboration is imperative to success, construction project software is making waves as more managers become apprised of its benefits. It’s led the way to greater efficiency in team projects, and greater transparency between contractors and owners. 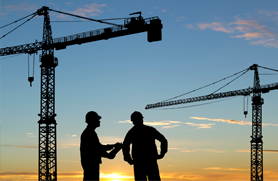 Who Can Use Construction Project Management Software? The short answer is – everyone. From general and specialty contractors, engineering firms and owners, to construction management firms and the onsite employees, the right construction project software is easily robust enough to handle the load. A username and password is all that is required to open up the details of the job to any allowed party; you can gauge the project progress and the efficiency of the current team. Some construction apps even allow you an around-the-clock viewpoint of the job site. Blueprints, technical drawings, construction amendments – all of these can be rendered with drawing markup software available in the app. It’s about as efficient as putting everyone in the exact same field office – but it’s definitely more convenient. Indeed, the attribute that represents the most telling departure from the limitations of the past is the collaborative aspect.Construction project management software changes effectively bring everyone involved into the same room, where real-time information is conveyed simultaneously to all parties – or at their convenience. Make no mistake about the level of commitment to security harbored by construction project software. The engineers realize that the important data that constitutes the core of your business network must be secure and the app have a host of measures to ward off cyber-attacks, technical issues or loss of this valuable data. In fact, the tenets of business continuity must be fully integrated into the software, so that your data is safe even in the event of a breach on your end. Ease-of-use is a highly-regarded attribute; much of the software is intuitive, as a lot of consideration is paid towards perfecting the user interface. Besides, customer support must almost always available to help you maximize the potential of your software and overcome obstacles you may encounter. 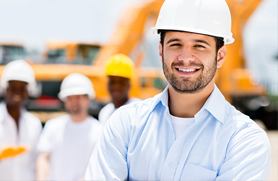 Construction project management software can save loads of time. Everything from team collaboration, to the decision-making process between owners, clients and contractors transpires in as little time as feasible, because of the connectivity. The collaborative aspects of construction project management software must be bolstered by the ability to sync changes and suggest alternatives in real-time, making it possible to receives updates to a project when the team is logged in. Add markups and make other amendments even as you receive feedback from the onsite workers. The software is easily able to allow navigation between the different levels of a building via plan drawings moving from trade to trade effortlessly. This advanced technology tends to increase the accuracy of the finished product to the drawings. With this type of software, optimized collaboration is what you should be after. It’s all about getting teams to work together in the most efficient capacity possible, with the ultimate goals of improved productivity and, ultimately, increased profits and customer satisfaction. Start changing the way your crew stays connected and on the same page with help from FASTTAC. Our state-of-the-art construction documentation software offers accelerated access to every member of your team, helping streamline collaboration to keep everyone on the same page with the latest documents, markups and on-the-job updates. Request a live demo of FASTTAC’s software today, and let us help you start transforming the way your team stays connected.